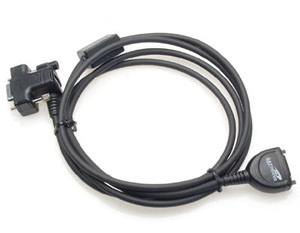 Thuraya Data Cable lets you connect your Thuraya Hughes or Ascom phone to a personal computer or other device via RS-232 interface to provide capability of data and fax transmission and reception. NOTE: For Hughes and Ascom phones only. A USB Data Cable is included with Thuraya SO-2510 and SG-2520 phones.